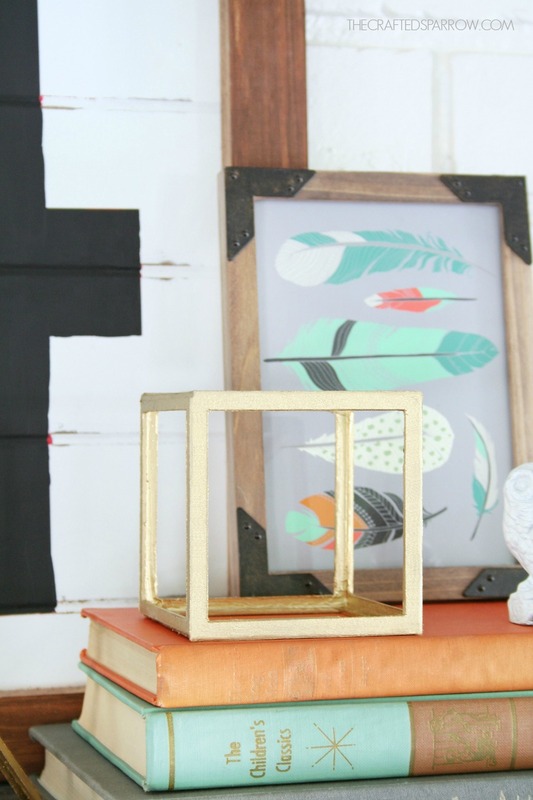 From time to time I get the itch to update decor through my house, especially as decor trends change. 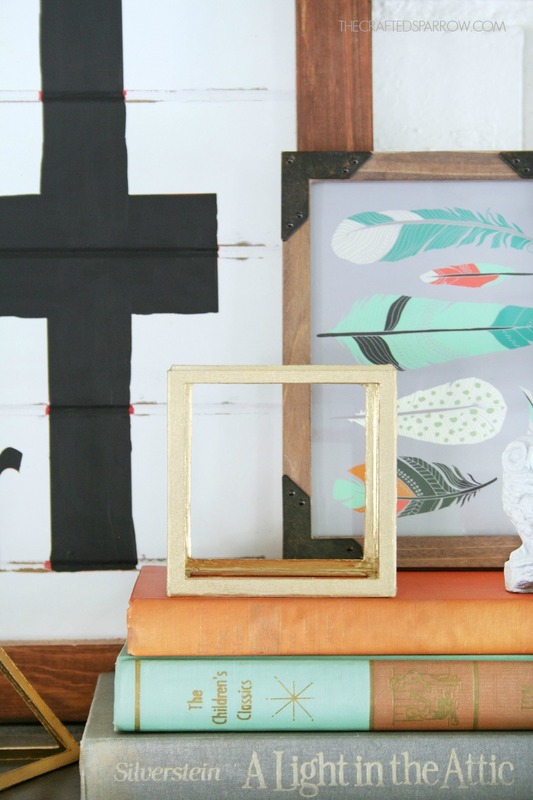 A habit of changing decor frequently can be costly, but it really doesn’t have to be. 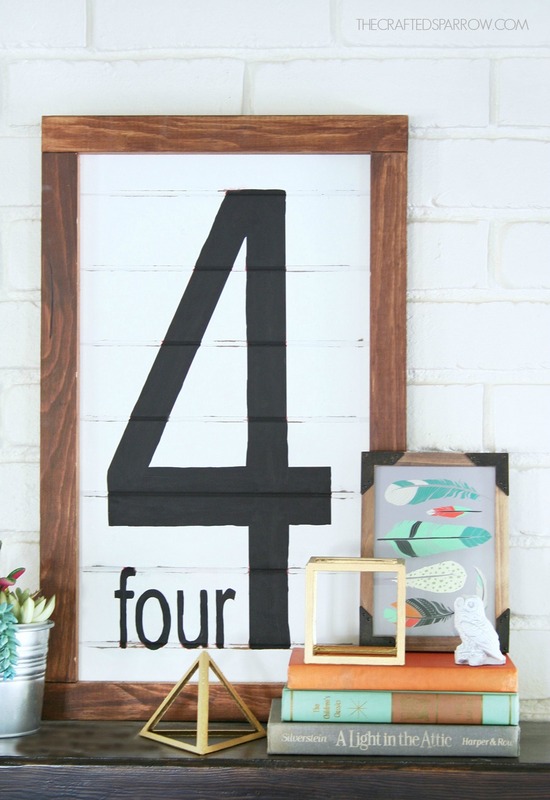 There are so many ways to incorporate new design trends into your current decor, sometimes it just takes a little creativity and a little time spent making something awesome. 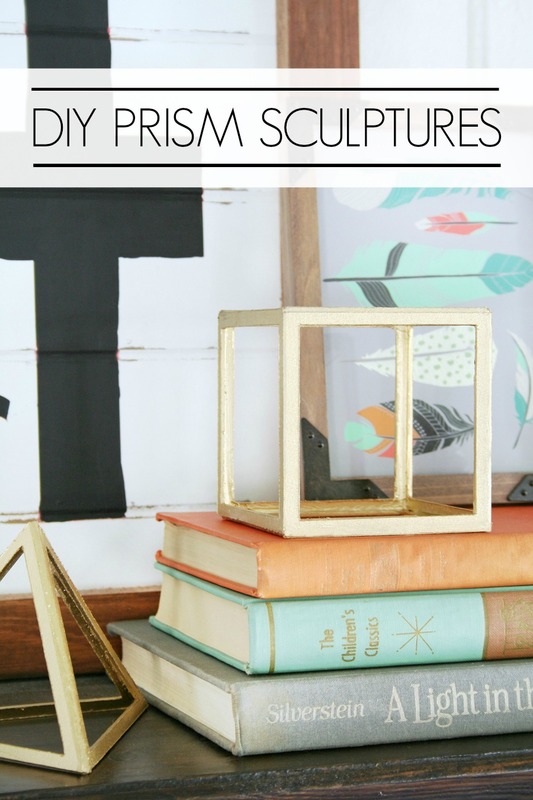 For example, I recently made these DIY Prism Sculptures to bring in one of my favorite decor trends without breaking the bank. For me, finding inspiration when I create isn’t hard. It’s all around me each and every day – retail stores, design magazines, as well as other blogs. One of my favorite places for inspiration is of course Pinterest. Since the invention of Pinterest, it’s been easier to keep on top of current trends and amazing ideas from other creative minds. 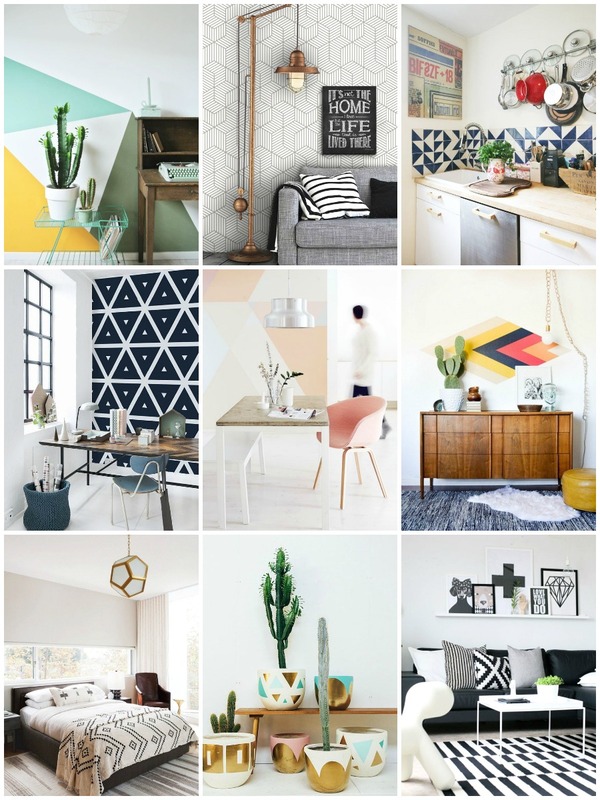 One decor trend I love at the moment is anything Geometric. There is something so beautiful about it, the clean simple lines and the possibilities are endless for what you can create using these Geometric lines and patterns. Here are some of the ideas that inspired my DIY Prism Sculptures, and be sure to read through to the end for a fun giveaway! Sources for the inspiration above are listed in order from left to right, top to bottom. 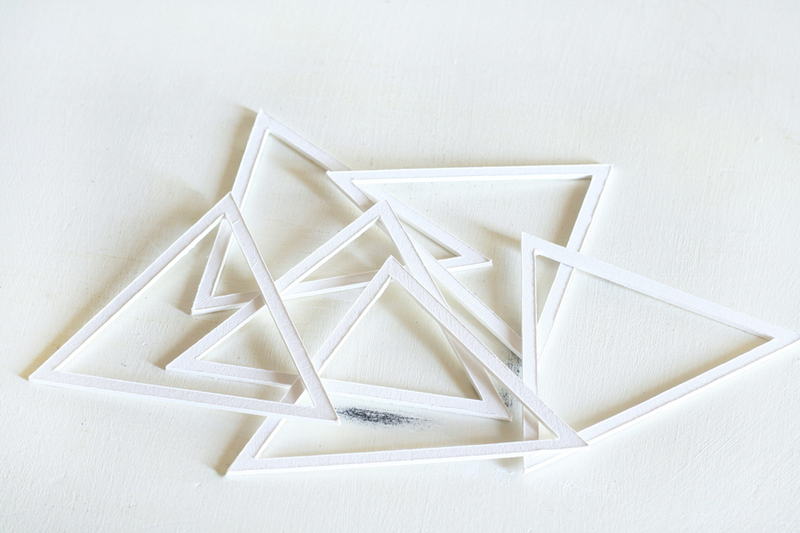 Now let’s make some awesome DIY Prism Sculptures, they are pretty easy to make and assemble. Begin by creating your geometric shapes in Design Space, I created a cube prism and triangular prism. I used images that were already in Design Space, but you could totally upload your own. For the cube prism you will need to cut 6 pieces, and for the triangular prism you will need to cut 3 (I cut 4 so I had one extra just incase I needed it). 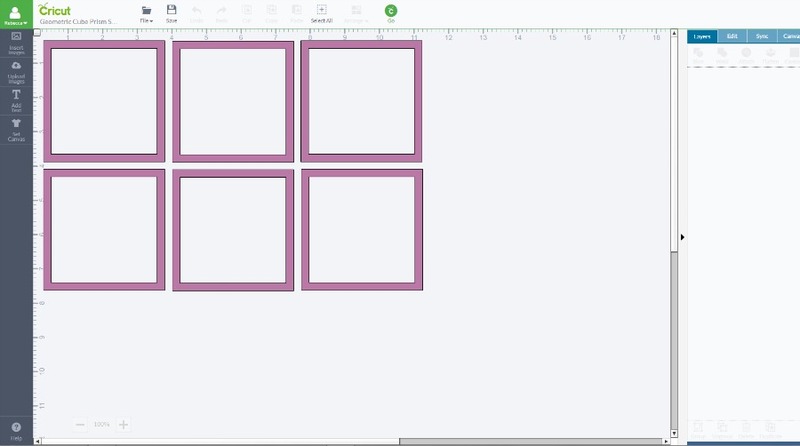 When you are finished designing your shapes in Design Space hit GO, then select the Custom setting. I selected to Create Custom Setting and used a cut pressure of 331, with 5x cut. You will need to run this project through twice to make a total of 10x cut since this board is firmer than chipboard, if you’re using chipboard you should just have to select the Chipboard Heavy, 0.7mm setting and cut 4x. Lay your pieces together on a flat surface. I used a clear adhesive tape (masking tape or washi tape will work well too) and just taped the pieces together from the inside so that they were able to bend into the prism shape. This helps hold it for gluing, you will remove the tape when it’s dry. 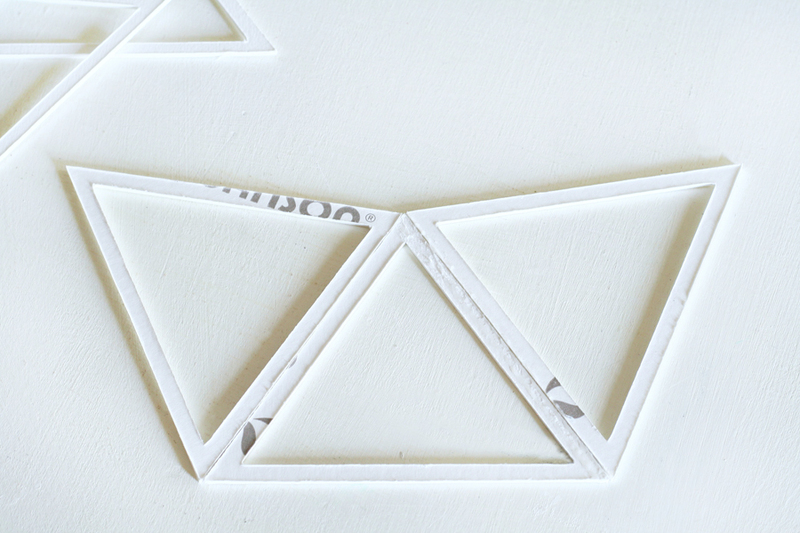 On the outside of each prism glue with either hot glue or a quick dry strong glue like the one pictured along each “joint” edge. If using hot glue be sure to wipe away excess with a toothpick (or a finger if you have no feeling left from previous hot glue incidents like mine) to avoid a bumpy texture. Once this is dry remove the tape from the inside, then repeat on the gluing on the inside “joint” edges. Let dry for a few minutes. 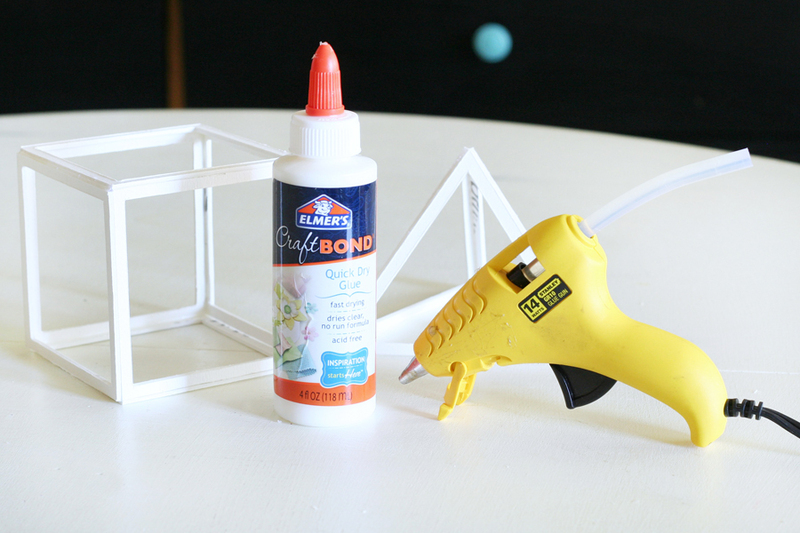 Once everything is dry and ready to go you can paint your DIY Prism Sculptures. I love using spray paint, I painted mine gold since I already had it on hand and it went with the decor, but how amazing would these be in hot pink or a bold jewel tone color like emerald green or royal blue? I love how these turned out. It cost me about $2.75 to make both prisms. These would be so cute styled on a bookshelf don’t you think? 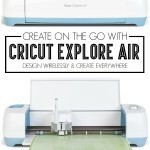 To see even more about how you can Create On The Go With Cricut Explore Air go HERE. 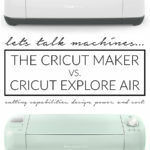 If you’re curious about what exactly the Cricut Explore Air can cut go HERE. 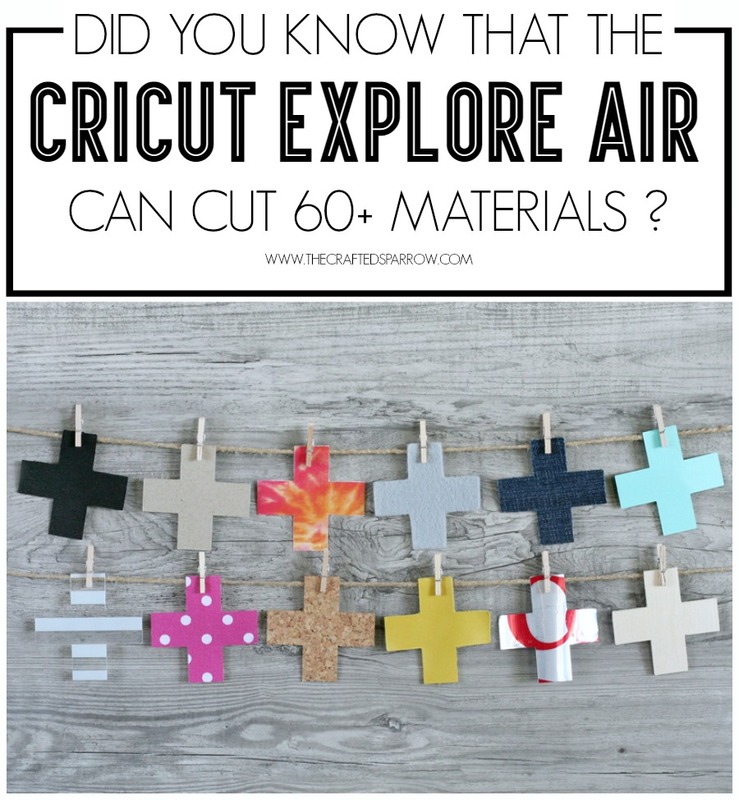 Cricut Explore Air: What Can It Cut? 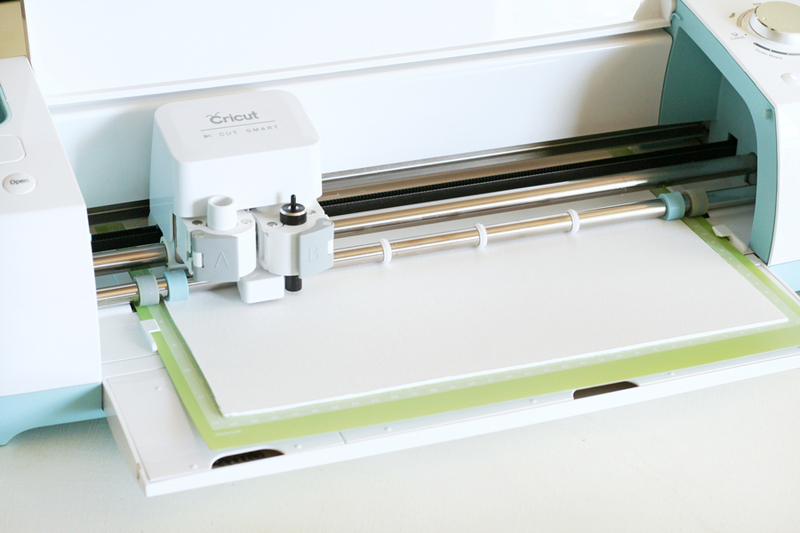 So are you inspired to create with the new Cricut Explore Air? Here is a little something to help get you started, a $100 Jo-Ann Fabric and Craft Stores gift card. Must be a US resident. Entry ends on 04/15/2015 at 12:00am EST. Winner will be chosen at random. Winner will have 48 hours to respond otherwise a new winner will be chosen. Disclosure | This post is sponsored by Cricut. All ideas and opinions are 100% my own! I would make invitations for an upcoming outdoor summer party. I love parties, am I invited?! 😉 Good luck. I am organizing my kids playroom so I would make labels for their toy bins. That’s a great idea, I need to get on some of those asap for boys rooms! Good luck! I’d love to cut some fabric and make some fun pillows! You’d love it for cutting fabric, and I love custom pillows! Great idea! Good luck! These turned out amazing!!!! Such a great idea Rebecca! Oh that’s a great idea, the Cricut sticker paper would be perfect for that! So fun, good luck! Oh thank you, you’re so sweet! Good luck! Lately, I’ve been thinking a lot about cards. I recently had to buy a couple of birthday cards, and found so many cute ones at the store. But they’re expensive! Some of them go up to $9 even. As I put them in my cart I just keep thinking “I could make this”. I would love to make custom cards for people. I think it would be really special… and the possibilities are endless! Cards are a great idea! 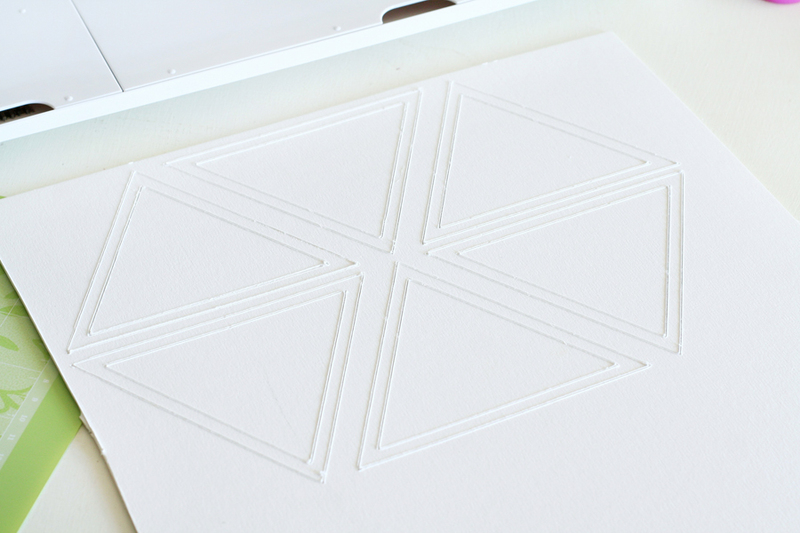 I use to hand make cards all the time years ago, I stopped because it would take forever…obviously that was before the Cricut Explore Air came along. 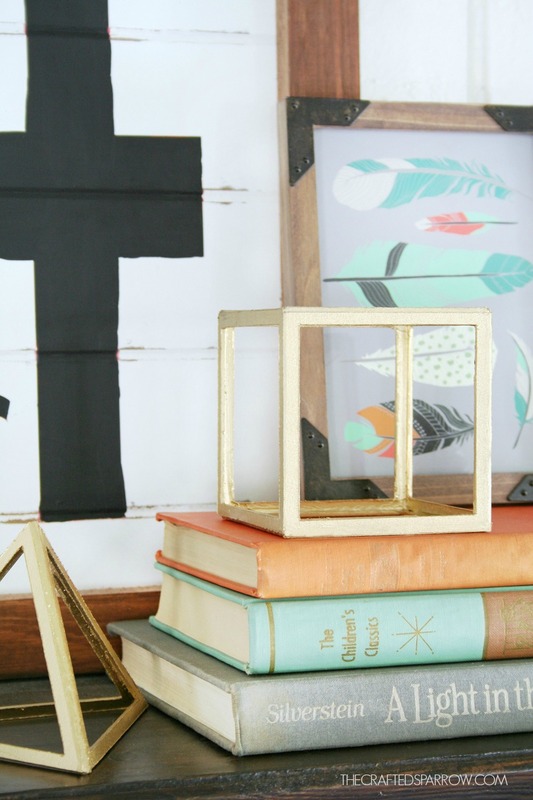 Now they are so easy to put together, especially if you need something last minute! Good luck. Congratulations! That would be so fun, I wish I had a Cricut Explore Air when I got married…my wedding would have been so much prettier! Good luck! I would make a table centerpiece for family birthdays. These are so cool. Even your styling is super cool. Love it all! Thank you Amy, hope you have a wonderful Easter weekend! I would make cards for thank you notes for my child’s upcoming birthday party. I would use it for scrapbooking projects! My GF is the big crafter so I would gift this to her and she could go nuts getting supplies. That’s so sweet, you’re a keeper for sure! Good luck! I would make a bouquet of bright gerbera daises for the mantel. The first thing I would make it some decorative pillows for my couch. I would make a personalized wedding gift for my cousin. I love custom pillows, that’s a great way to use it! Good luck! I am making large paper flowers for a spring tea, along with smaller paper flowers and other table decorations. So Fun. there are endless possibilities and i am not sure where i’d start. i think i personalize cards and make banners. I would make something for a scrapbook page. I would make a mobile! I think it would be perfect for that. I would definitely make cards. I love personalized, handmade cards. My sister’s baby shower is coming up. I’m thinking invites and decorations. I think I would make some new wall decorations for my daughter’s bedroom. Thanks Lindsay! Have a super week! I’d make decorations for my new apartment! 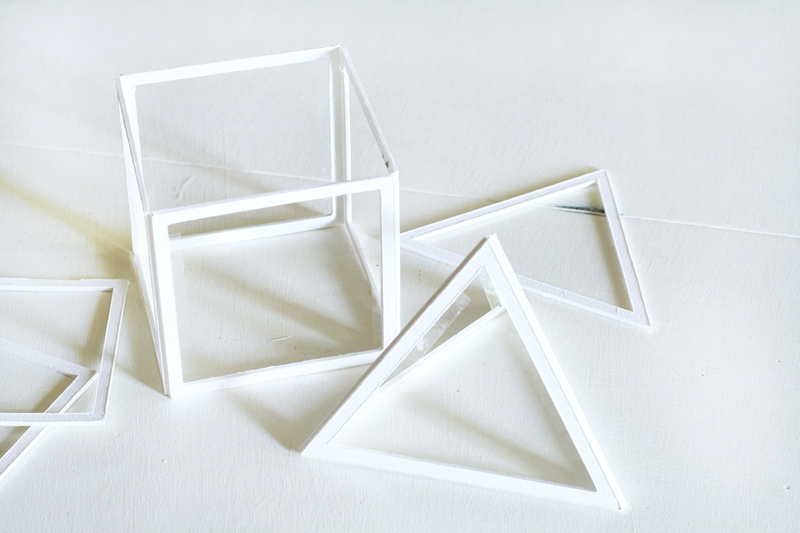 First project would be one of these prisms, I think they’re awesome! I’d like to make some vinyl cutouts for a wall in my nursery and vinyl name tags for their doors. The options are endless. I would probably make custom signs and fun party garlands. I would make wall decals for my kids rooms! Really the question is what wouldn’t I make. Lol! I’m really interested in doing vinyl labels and tee shirt applique, but this project looks great! My kids are into geometric shapes and would love this. I would make some glitter iron on t-shirts for spring for grandchildren. I would love to make wall art for the triangular wall by my stairs. I would make things to decorate for my grandson soon to be born and my new granddaughter . Then I would have to do the other two granddaughter’s bedrooms. Of the fun! We could do all sorts of other things too. birthday invites, birth announcement’s. school projects. So much fun! I would love to make a banner for my son’s birthday. I think I’d make some 3D flowers or perhaps some applique cut-outs. I would make the prisms, as a math teacher this would be great for visual and tactile learners. I would make some custom pillows too. 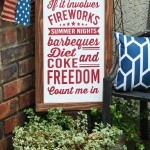 Wish I could have a cricut! Been wanting one for years but I’m not an apple person. I just learned that and was so bummed. But I love the prisms! They would look great painted with the mirror look spray paint! Hey Brandi, I hear ya…Apple products can be overwhelming. Who knows maybe they will get the android app for it soon, that would be awesome. 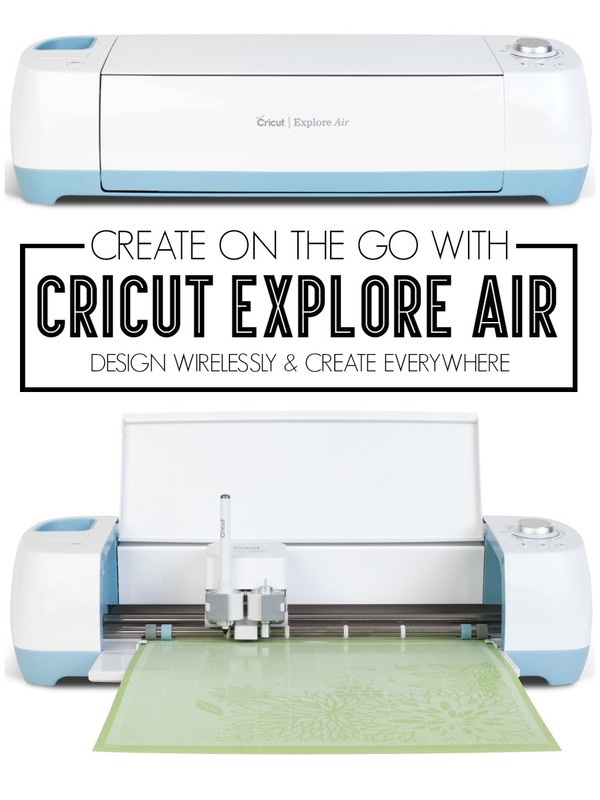 You can still use the Cricut Explore Air with your pc or laptop too, either wirelessly or hard wired! Bonnie, that would be perfect friend! Good luck I hope you win! I’ve never used a Cricut so I’d need to do something easy. Probably some simple shapes in paper for art or felt to make a quiet book. I would love to make some fun pillows for my little guy’s room and invitations for his birthday coming up! I would get creative and make some great things to enhance my scrapbooking. We just moved back into our house after 3 years. I want to make something awesome for this wall space we have above our cabinets. I think the triangle prism looks great. Of course I might glue my fingers together putting it together. Wall art for the playroom I’m working on ! I would be so overwhelmed with excitement of having it that I wouldn’t know what to try first… bu I am guessing it would this project! I’d make wedding decor and invitations! I would definitely use this for scrap books. I want to make some art for my laundry room–designing on the go would be awesome! I would use this to help make some of my students water project boards POP. I would make a scrapbook layout! I would so love to take a step past scissors!! I am disabled and can’t seem to ever fit these awesome products in my budget!! I could do do many thongs!! Those of you have have these products are so blessed!! I would be over joyed with someone’s discard, I’d they needed an up grade!! i think i would make some wall decals for me daughters bedroom. I would make some wall art for the kid’s rooms. 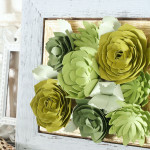 I would make some paper flowers. Oh! I’d love to start in my Mother’s Day buffet table decorations! Would be so awesome! Well your prisms really caught my eye, so probably those! I would SO make these prisms!! They would look perfect in my newly painted foyer. I just found your site, and now I’m HOOKED. Thank you! I’m moving, so I’d make some home decor for my new place! i have no idea, i’d have to check out pinterest and blogs for more project ideas! The first thing I would cut would be words for a 3d subway art! I would start on scrapbooking my wedding album!! I would make this project! 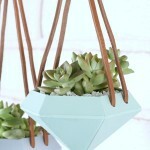 So cute and i need some new decor items in my new house! 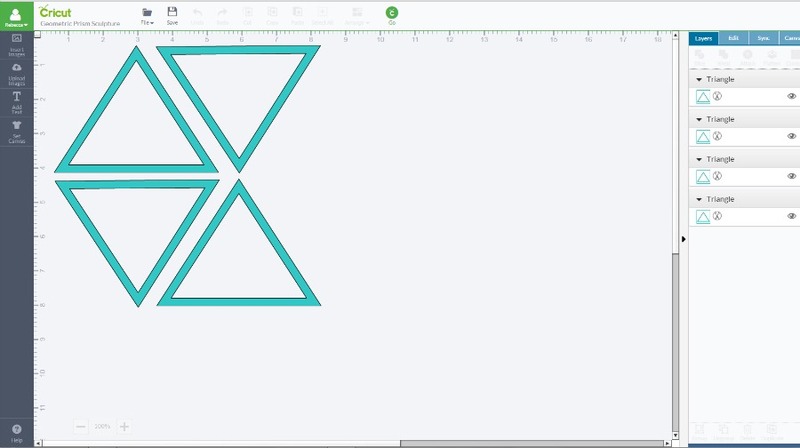 I’d probably cut out hexi templates to start with. I would make stencils and signs. These are gorgeous! I am SO saving up for a cricut… They’re unavailable here in Pakistan so gonna have to wait till I visit the US this year or until my cousins visit me! I would use it to cut fabric!! That would be perfection!!!!!! We will be moving in a few weeks and I would buy new décor items. I haven’t used one before, but I’m dying to get my hands on one! So many crafts so little time! I make all of my signs by hand so I would use it to create stencils to make my life soooo much easier! I’d make personalized shirts/ onesies! I would totally make these prisms. so cool! I would probably make invitations and decor for hubby’s coming up birthday! Omg! How awesome this is! I would use it to make signs… it’d be so much easier than hand painting!! Not sure I make alot of things it would be hard to decide which one to do first. But love to try. I have a lot of projects on my wish list that I would love to try but honestly after see your project. I think I would first love to try out the prism sculptures. It’s really chic. thank you for inspiring creativity. Thank you so much Syeda. Have a great week! 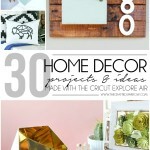 So glad I found your blog – you’re so creative! I Know I will be spending hours looking over your projects! Thank you Toni! So glad to have you here, stop by often and say hello! Have a great week.